This article was originally published in the February issue of the Shout NZ. Wheat Bear is one of those beer styles that many craft beer fans simply love to hate. A fact that is a bit surprising given the style’s long and persevering history. More surprising is the fact that this prejudice exists at all given how many popular beers actually contain a healthy portion of wheat. When one mentions wheat beer, what probably comes to mind most readily is the German Hefeweizen (Weissbier) and to a lesser extent, Witbier; two top fermented ales that contain a large percentage of wheat relative to the amount of barley in the grist. But those are by no means the only styles of beer that are made using wheat. Hefeweizen is a beer that originated in early sixteenth century Bavaria. It’s a pale, cloudy, highly carbonated German ale which uses specialized strains of yeast known for producing the beer’s signature Banana and clove-like character. It’s this unique flavour profile that has undoubtedly created the love-it-or-hate-it relationship that so many beer drinkers have with the style. It would seem that the long history and general availability of Hefeweizen has created a pre-conceived notion amongst many beer drinkers that all Wheat Beers have this particular acquired taste. This is simply not the case. By German brewing tradition, at least 50% of a Wheat Beer’s grist must be malted wheat. The high protein content of the wheat gives the beer a thick billowing head, but also tends to produce a beer that has a hazy appearance, a quality that is compounded by certain yeast strains commonly used in European Wheat Beers. There are three primary variations of the German Wheat Beer. There is Weissbeir (Hefeweizen); the aforementioned pale, refreshing, ale with its billowing head and distinct banana and clove-like flavours. There is the Dunkelweizen (aka Dunkles Weissbier), a darker version of the traditional Weissbier that uses additional specialty malts to give the beer a light mahogany colour and richer notes of caramel and toast, on top of the traditional banana and clove-like flavours that the lighter Weissbier is so known for. There is also the Weizenbock; a stronger version of the Weissbier that comes in both pale and dark versions and combines the best qualities of the traditional Weissbier with the richer, maltier flavours of a Doppelbock. To get your hands on a quality German Wheat Beer brewed right here in New Zealand, one needs look no further than Matakana’s Sawmill Brewery who has repeatedly won medals for their much loved “Weizenbock” and who also produces a popular Hefeweizen. The Belgian Witbier (literally translated as Wheat Beer) is a centuries-old Belgian beer style that went extinct in the middle of the last century until it was revived by Hoegaarden and later embraced by many modern craft brewers. This pale and refreshing beer is brewed using a Belgian yeast strain that produces delicate spicy phenolic notes as well as mild to moderate fruity esters. But whereas the German Hefeweizen tends to have a strong banana, even bubblegum-like quality, the Witbier yeast strain produces much more understated flavours of fruit and spice. Often Witbiers will have a slight touch of lactic sourness, and are commonly flavoured with additions of orange zest and coriander, though many different spices are often used as different brewers offer their unique spin on this refreshing and elegant beer. Perhaps no other wheat beer challenges the common perception of the style as much as “American Wheat Beer” does. Much like most other wheat beers, American Wheat Beers contain a large percentage of wheat in the grist (typically 30% – 50%). But whereas yeast character drives the flavour and balance of the more traditional German and Belgian wheat beers, American Wheat Beer is brewed using a clean yeast strain and makes up for the lack of yeast character with the use of additional hops. These beers are light and refreshing, and often indistinct from your average easy drinking blond ale. While American Wheat Beers may not be the most sophisticated of beer styles, they are light and refreshing, and if nothing else they prove that it is yeast, rather than wheat, that has given Wheat Beer its controversial reputation. Berliner Weisse is a unique variation on the German Wheat Beer style. This low-alcohol beer (typically 3% – 4% is fermented with both brewer’s yeast, and lactic-acid-producing bacteria, resulting in a tart and refreshing pale beer with a light bread-dough malt-flavour which helps balance the sourness. 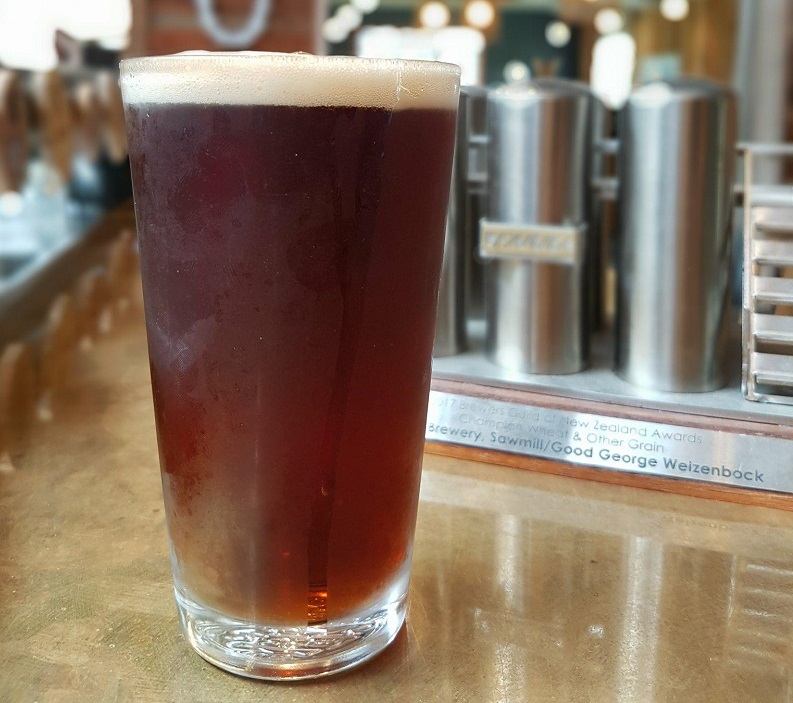 In Germany, this beer is traditionally served with sweet raspberry, woodruff, or caraway syrups to counter the beer’s acidity. In the same way, many modern craft brewers add fruit in a secondary fermentation (such as blueberries and raspberries) to balance the sourness of the beer. Warkworth’s 8 Wired Brewery produces a modern dry-hopped version of the style called “Hippy Berliner”, as well “Cucumber Berliner”, a cucumber infused take on the style. Another well-known sour beer that is typically comprised of about 30% – 40% wheat, is Lambic. Lambic Ales are spontaneously fermented beers brewed in Belgium’s Senne Valley. This means that rather than pitching a standard brewing yeast – as most modern breweries do – they instead pour the hot wort (unfermented beer) into large shallow vats known as “coolships”. This is done so that (as the beer cools) it gets naturally inoculated by the plethora of wild yeast strains and bacteria that are unique to the area. The beer is then typically aged in neutral oak barrels to produce a fairly sour Belgian Wheat Beer that is full of complex barnyard-like flavours. An acquired taste to be sure, but Belgian Lambics are some of the more unique and sought after beers in the world. The Gose (pronounced GOH-zeh) is a lightly soured Wheat Beer from Goslar Germany that originated in the middle ages. Gose eventually fell out of favor and became completely extinct in the 1960s, until it was revived by modern craft brewers in more recent years. The Gose is a highly carbonated, tart and fruity wheat ale that is often flavoured with coriander as well as the highly unusual addition of salt; a throwback to the high salinity of the river Gose, which was originally the source of water used to brew the beer. One of the more unique – and hard to find – wheat beers you’ll ever have the chance to try is the Piwo Grodziskie (aka, Gratzer), a Polish Beer that dates back to at least the 15th century and who’s grain bill is comprised of 100% oak-smoked wheat malt. This low alcohol (2.5% – 3.3% ABV), highly carbonated, pale, smoked wheat beer combines a number of odd characteristics in a way that all comes together surprisingly well. While commercial production of Grodziskie completely ceased in the 1990s, like the Gose, it was revived in recent years by modern craft brewers. While still difficult to find, we do have at least one locally produced example of the style here in New Zealand, coming out of Christchurch’s Concept Brewing Company. It’s a beer that you need to try at least once. Clocking in between 8% – 12% ABV is the monstrous Wheat Wine. The Wheat Wine is a relatively new style of beer that was first commercially brewed in 1988. Similar to a Barleywine, this rich, highly alcoholic, fireside beer is usually brewed with at least 50% wheat malt, producing a complex, bready beer that is rich in wheat flavour. So for a style of beer that so many drinkers are quick to dismiss, there is a surprising amount of history, and variation to the style. 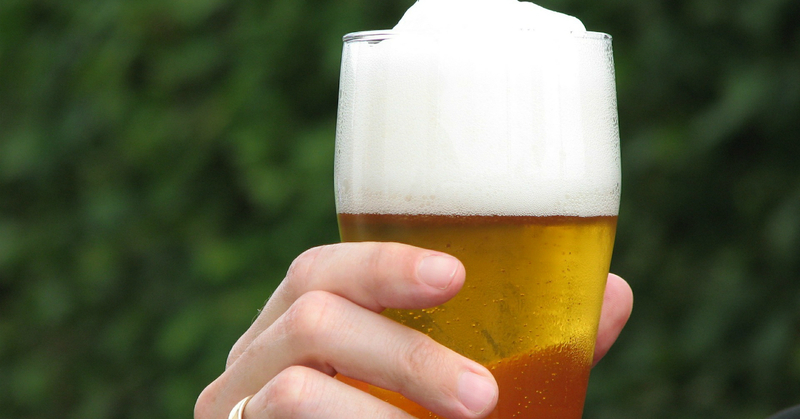 A Hefeweizen is no more an American Wheat Beer than a Belgian Blonde is a modern Pale Ale. Whether you prefer complex yeast driven character, sour beers, the toasted flavours of dark beer, or simply want a hoppy and refreshing beer to get you through the summer season, there is unquestionably a Wheat Beer for every palate. For a style of beer that is so rich with history, and with such a varied flavour profile, it’s a shame to see it so often dismissed and unexplored based a single, misunderstood ingredient.